The world has always been in opposition to the Good News. The world crucified God. The Church has been set against the world since her founding by Our Lord, and that was no different during the life of St. Benedict whose feast day we celebrate on Saturday, July 11. St. Benedict is most widely known for his rule and as the “Father of Western Monasticism”. He lived circa 480-560 and his influence on the world was great. Even though his rule was not the first, it was the most widely used in the west for centuries. St. Benedict’s rule was comprised of several rules which could be applied to a variety of monasteries and locations. His rule’s primary emphasis was on: moderation, the integration of prayer and work, and the socialization of the monastic life. Rome’s collapse meant staggering loss. People forgot how to read, how to farm, how to govern themselves, how to build houses, how to trade, and even what it had once meant to be a human being. Behind monastery walls, though, in their chapels, scriptoriums, and refectories, Benedict’s monks built lives of peace, order, and learning and spread their network throughout Western Europe. It is here that we shift to today. Once again the Church is looking at a culture in a state of decay, moral confusion, and nihilism. The West is falling into ruin once more. The societies of Europe and North America have largely abandoned Christianity in favor of secularism and now we live in a post-Christian age. As Catholics, how can we look to St. Benedict as a guide in such times? The answer is what is called the Benedict Option, which has come into usage through the work of Alisdair MacIntyre and Rod Dreher. MacIntyre insists that we are now called to build, “new forms of community within which the moral life could be sustained”. How is this accomplished? We must abandon the wrong-headed rugged individualism of our age. This is especially true for Americans. The call to radical individualism and self-determination is diametrically opposed to the Gospel and the communion we enter into upon our Baptism. The Mystical Body of Christ is an organism in which we are all intimately connected with the head, who is Christ Himself. As the culture begins to more aggressively attack the Church, we need to come together in close-knit communities all focused on the same goal in Christ. Does this sound familiar? Most of us cannot become monks. We are members of the laity and we have to provide for our families, but that does not mean that we cannot live in a quasi-communal state where we can help one another. This communal state will vary depending on the area you live and the infrastructure in place. This will become essential when people lose jobs for their faith or struggle to make ends meet. This is the call to live in authentic Christian love and community, not as separate people who just happen to come to Mass together each Sunday. Priests and laity need to be involved. In fact, priests will need to take a direct role as spiritual leaders of these communities. Yes, priest are already stretched thin, but as the Church moves to the fringes, the unfortunate by-product will be more people falling away from the Faith. The Church will get smaller for a time. 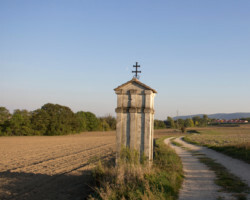 Many of the people who have already begun living the Benedict Option live in close proximity to their church or even a monastery where they can pray, attend the Liturgy, and live where a religious community is established. Some become Oblates or Lay members, but many do not. Lay Orders are no guarantee of this community either. There must be an intentional establishment and way of life within these communities. A life that is devoted to prayer, work, humility, evangelization, and holiness in a community, rather than solely as individuals or families. What is certain is that people will need to band together in ways they have never considered before in our lifetime. We will need to focus our days on prayer, virtue, and work as we go out into the world. Rod Dreher admits when he coined the Benedict Option through the influence of Alisdair MacIntyre’s work that he did not have a clear definition. What is obvious, however, is that we Christians need to live holy lives in community as we take the onslaught that will grow in momentum over the coming decades. We must be willing to sacrifice and take care of one another as we live and serve Christ. In my mind, the Benedict Option is essentially a call to holiness. It is a call to deep prayer, virtue, regular reception of the Sacraments, and self-sacrifice in a community setting. That is what St. Benedict was asking of his monks and that is just as true today for monks or members of the laity. Holiness is what the Church is calling us to and we can no longer do it in isolation. Close-knit Christian communities are nothing new and find their greatest model in the Early Church. We need to learn to live together, faults and all that we may serve Christ in hard times; that we may become holy and perfect as Our Heavenly Father is perfect. In fact, communal life can help us greatly on the path to holiness. Holiness is the whole point of the Christian life. So, whether it is Rod Dreher’s suggestion or another, it is time for us to come together as Christians and live The Way, instead of in isolation and mediocrity. We will need one another in the coming decades. It will be through our witness and striving for holiness that others will be evangelized. The Benedict Option cannot be seen as an abandonment of the Church’s mission to bring the world to Christ. The most powerful witness is a person fully alive who is living a saintly life. St. Benedict, ora pro nobis. Fr. Terence Henry, TOR, president of Franciscan University.